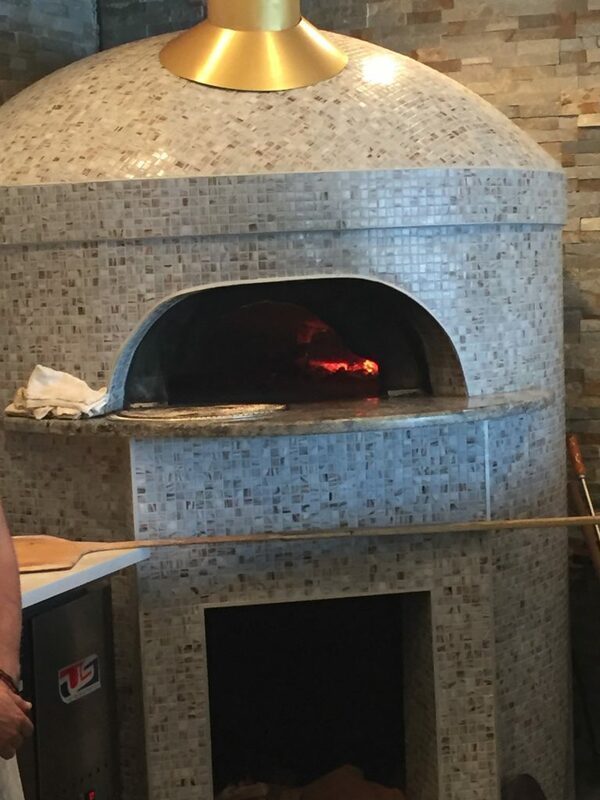 Le Sorelle Pizza is a new wood fired pizzeria that recently opened in Eastern Boca Raton. Scott (the self proclaimed pizza expert equal) and I decided to go and try it out for lunch the other day. 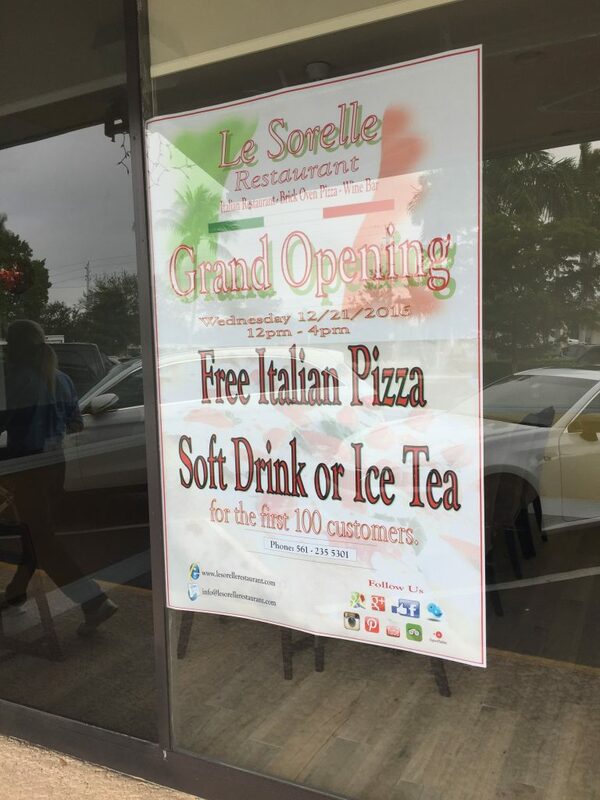 Le Sorelle Pizza took the spot in an eastern Boca Raton shopping center off Federal Hwy, it is a location that many restaurants have failed in already. The location is a hard one for restaurants to survive in since it really is a local crowd that would frequent the place. For some reason, that portion of north eastern Boca Raton just cannot seem to provide enough local support to keep dining establishments open. In case you want a reference point, it is located in the Hotdog Opolis shopping center. Upon entering Le Sorelle it was easy to notice the improvements they made. I was greeted but an extremely nice Fabio lookalike with an Italian accent. He sat me and before I knew it, there was a slice of pizza on my table. Since Scott was late I explained that it would be best to just have a menu for now and I would order pizza later. The owner didn't seem to care and told me that today the pizza was free for their grand opening. Talk about luck, we ended up eating there on the day it was free for everyone! I wouldn't let this cloud my judgement though, although free pizza usually tastes much better. Even though the sign was huge, I completely ignored it upon entering and went back outside to take the photo, just to make sure I wasn't getting any favors. Maybe I should keep my head up when walking and not buried in my iPhone. My first bite was delightful. The fruity olive oil hit the roof of my mouth followed by the nice fresh smooth sauce. The sauce tasted great and it was even better when cheese was mixed with it. 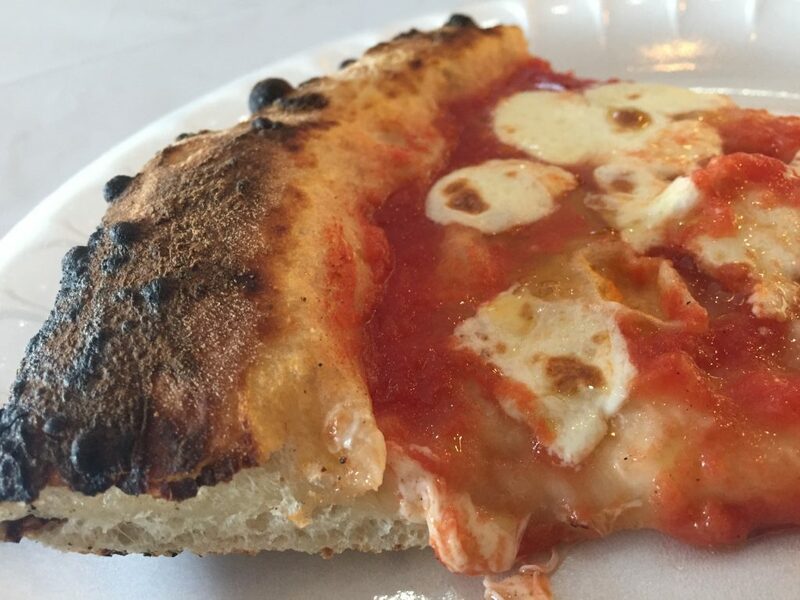 Since the pizza at Le Sorelle is Neapolitan style I wasn't expecting the crust to be crispy, so even though it was soggy it still tasted fantastic. The outer crust was a bit crispier and more well done, but the char didn't bother me at all. Here is my fear... Le Sorelle charges too much for their food, especially where they are located. Therefore many locals will stay away and choose a cheaper option. If this happens, it could cause Le Sorelle to meet the same fate as the many restaurants before it in this spot. 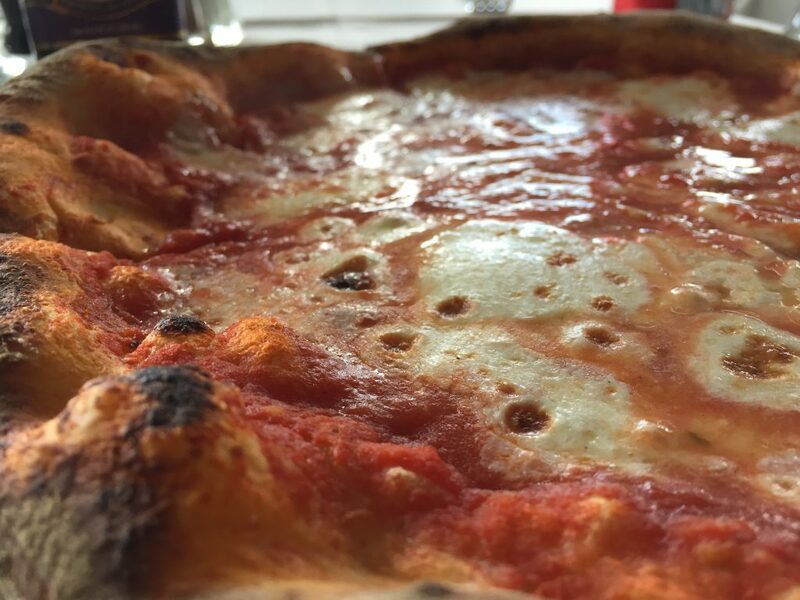 If this should happen, Boca Raton and the surrounding areas will miss out on some great pizza. Their Pizza Margherita is $15.50 for a 12" and that is a bit high compared to other places in the area. Many of their regular dishes also have some sticker shock, but you be the judge about the pricing. Here is the menu. If I could give them one piece of advice going forward, I would suggest having someone with a full grasp of the English language working there since many orders will come out wrong if they aren't fully understood. Boca Raton can have quite the discriminating crowd. Le Sorelle Pizza in Boca Raton gets 7 out of 8 slices and I most certainly will go back again for some of their Neapolitan style pizza. They do not sell slices here, but if you go with someone else and split a pie, you will definitely enjoy it.